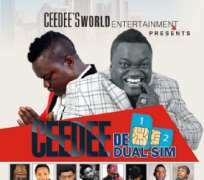 It's the countdown to the Music and Comedy concert of 2011 Glo Naija Sings winner Christian tagged " CEEDEE's Dual Sim" showing the double face and creativity of the. Rivers State born art. The event which will be attracting several high profile singers and comedians will hold on 13th December 2015 at the Sheraton Hotels, Abuja.